Program Chair Ed Boyko highlights "hot topics" including technology in all its forms, such as artificial intelligence, mHealth, apps, big data, wearable devices, and tools for diabetes management and monitoring. Basic and Translational Science: Young-Bum Kim and his team offer current progress in basic and translational diabetes research with a focus on the latest advances that are linked to the cause and development of diabetes. Clinical and Therapeutic Research: Raimund Weitgasser and his team cover the latest developments in clinical diabetology with a focus on lifestyle, medication and technology for the improvement of diabetes care. Diabetes and Women: Ronald Ma and his team focus on all aspects of hyperglycaemia in pregnancy, reproductive health, impact of maternal obesity and complications for mother and offspring. Diabetes Complications and Comorbidities: Peter Rossing and his team will include presentations on the wide spectrum of diabetes complications and the latest research on complications and prevention strategies and treatments. Diabetes in Society and Culture: Kun-Ho Yoon and his team will focus on all aspects of diabetes in different ethnicities, societies and cultures and how these factors impact interventions, and prevention and management strategies. Education and Integrated Care: Sue McLaughlin and her team will present recent research on subjects and developments in clinical practice approaches, tools, and methods in diabetes care, education and support. Epidemiology and Public Health: Anthony Hanley and his team will provide global trends of diabetes and its complications, new developments in the identification of risk factors and public health approaches for prevention of this condition. Living with Diabetes: Renza Scibilia and her team will provide insight into the perspective, challenges and successes of the person living with diabetes, and their role in healthcare decision-making. 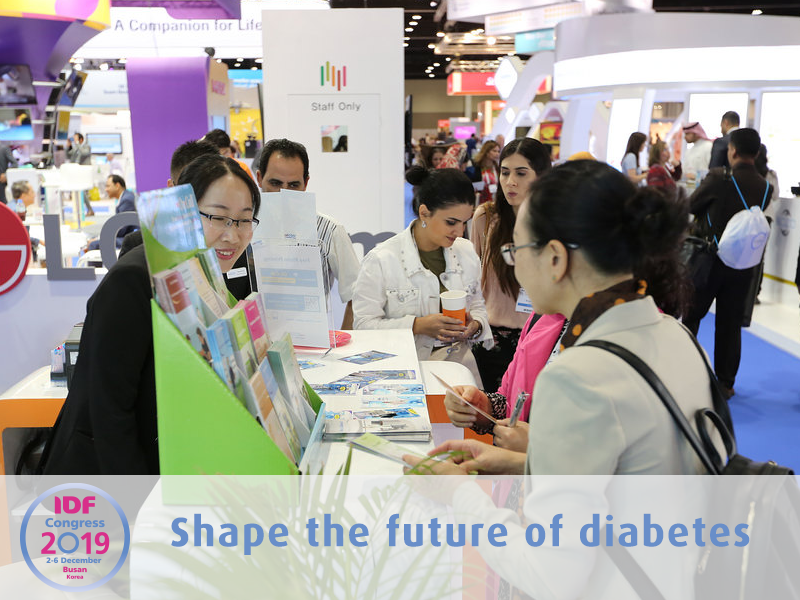 We will highlight trends or “hot topics” which will be threaded across several streams as they are relevant to diabetes not only today, but likely to have greater importance in the future. Hot topics include technology in all forms, such as artificial intelligence, mHealth, apps, big data, wearable devices, and tools for diabetes management and monitoring. Other important areas will focus on psychosocial factors, gender issues, lifestyle modification and diabetes in special populations. The broad nature of our program will attract delegates across a spectrum of occupations ranging from physicians and scientists to nurses and educators, policy-makers, government representatives and advocates. By bringing these diverse specialities together, delegates can extend their knowledge within and outside of their field of expertise. Such broad exposure to the diversity of disciplines and personalities will serve to increase understanding of the broad approaches needed to successfully address the diabetes epidemic. We hope various networking activities organised will encourage knowledge-sharing. Join us at the Opening on the evening of Monday, December 2nd and meet fellow delegates, take part in the 5K@IDF on Wednesday the 4th to “take a step” for diabetes, and reflect on your congress experience with peers at the Farewell Evening on Thursday 5th where you can experience local culture. I look forward to seeing you in Busan for this exciting event. For registration information, please click HERE. Register before August 31 to benefit from discounted rates. To submit an abstract, please click HERE. Abstract submission closes on April 19. Edward Boyko, MD, MPH, is Professor of Medicine and Adjunct Professor of Epidemiology at the University of Washington and Staff Physician at VA Puget Sound Health Care System in Seattle, USA.